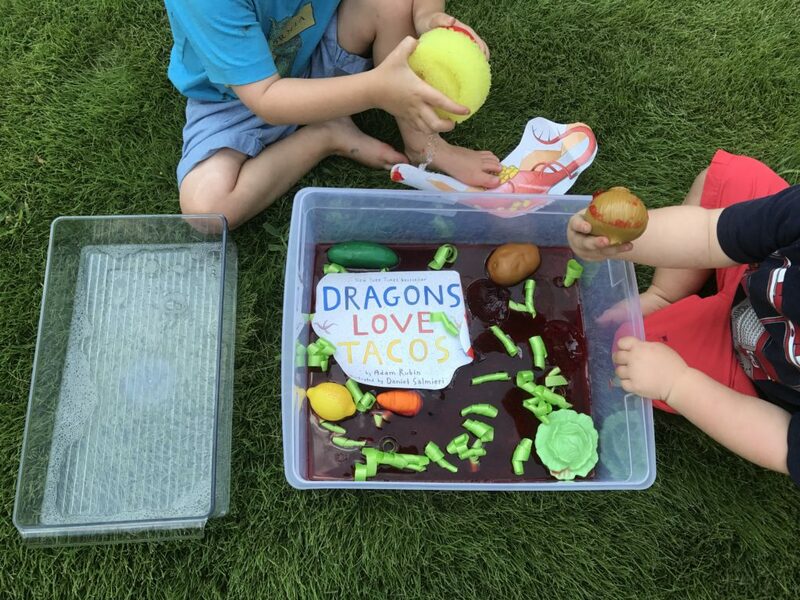 DRAGONS LOVE TACOS SLIME RECIPE + FREE PRINTABLE • U Ready, Teddy? I am excited to be joining two of my favorite blogger moms Days with Grey and The Mama Workshop for their monthly Book Box Series. 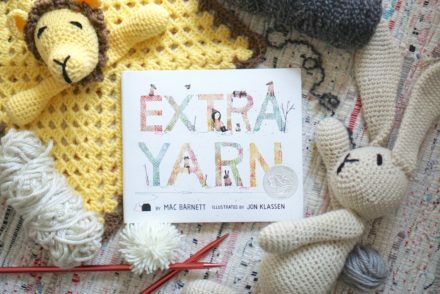 Every month these bloggers share creative ways to help retell a picture book with your preschoolers. 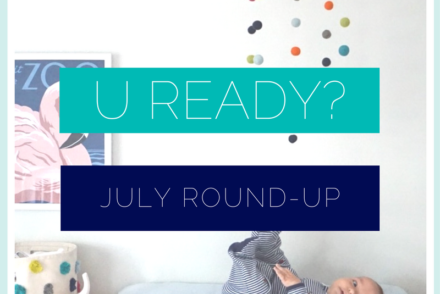 Family food blogger Veggies and Virtue is sharing a book-related recipe and Grace Giggles and Naptime is sharing a kids craft activity. 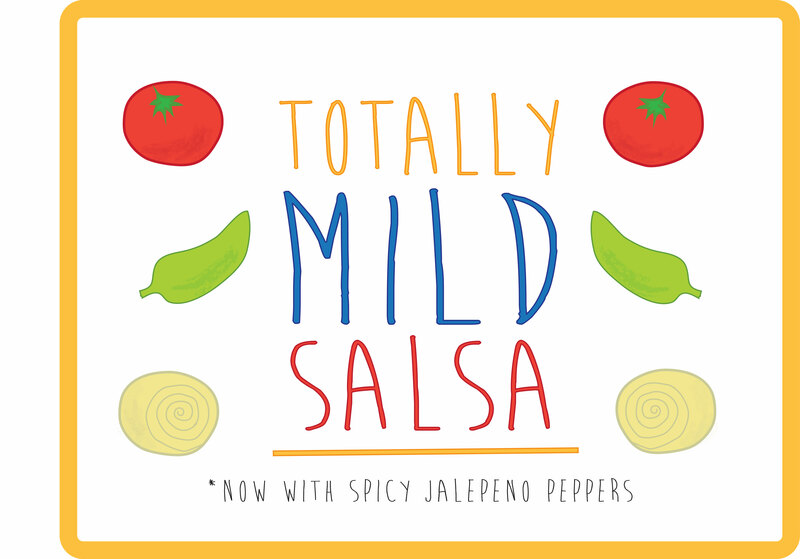 I am sharing a free printable and a fun recipe for totally mild salsa slime! This post contains Amazon affiliate links for your convenience. Purchasing from affiliate links helps to support my blog at no additional cost to you. Read full disclosure here. 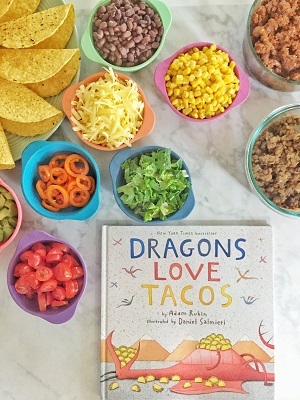 This month the book box is about one of my favorite books Dragons Love Tacos by Adam Rubin and Illustrated by Daniel Salmieri. 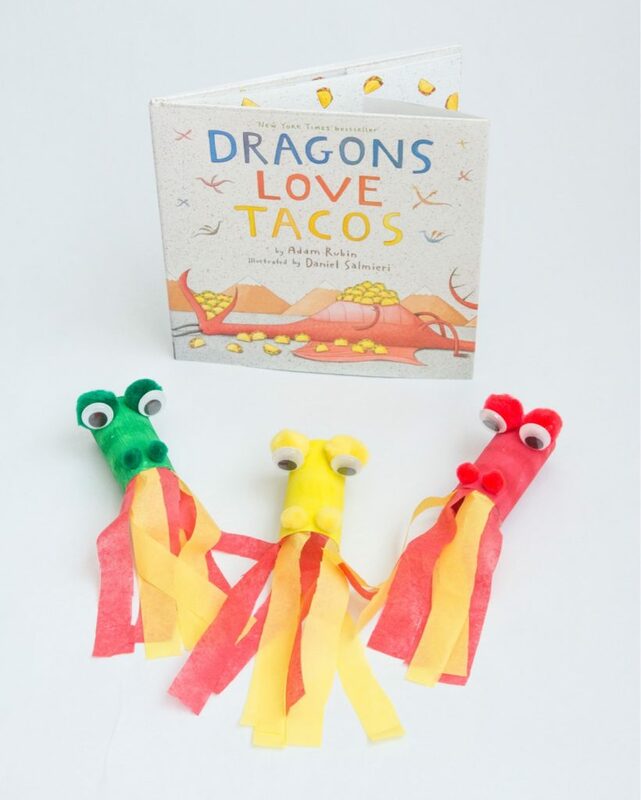 Dragons LOVE tacos, but watch out, because they HATE spicy food! The Dragon taco party is going well until the dragons find a jar of "Totally Mild Salsa." They should have read the fine print! Kids of all ages will love this silly book. 1. Measure out 1/2 cup of clear school glue into a bowl. 2. Stir in 1/2 cub of warm water. 3. Add a few drops of red food coloring and as much red and green glitter as your little heart desires and mix well. 4. Add 1/2 tsp of baking soda and stir. 5. 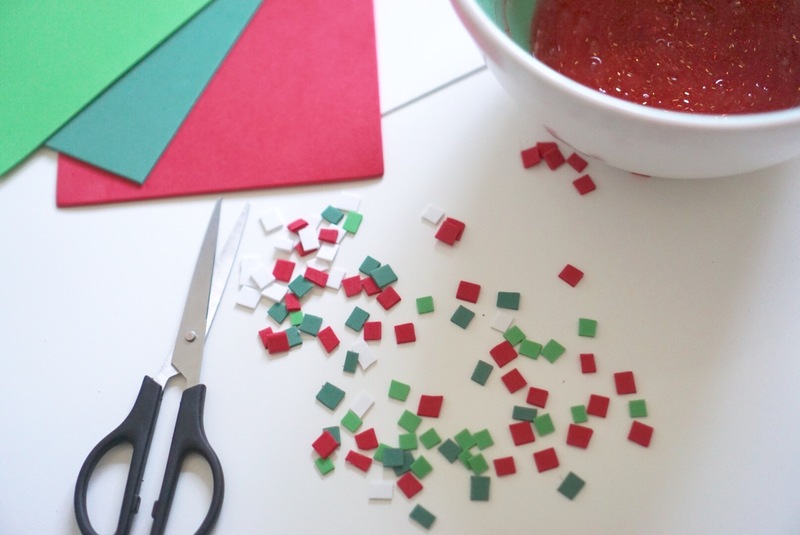 Let your little one practice their scissor skills by cutting skinny strips of craft foam into tiny little rectangles. These will be the tomatoes, peppers and onions. Sprinkle them into the mixture and stir. You can always fold in more foam squares later to make it chunkier. 6. Here is where your slime starts to come together. Add 1 tbsp of saline solution or contact lens solution. It must contain Sodium Borate and/or Boric Acid or you will end up with a massive slime fail. Stir the mixture well and it will start to stick more to the spatula and separate from the sides of the bowl. If your slime is still pretty sticky you can add a few more drops of saline solution. I rubbed some baking soda on my hands and then kneaded the slime by hand until it formed a lump. 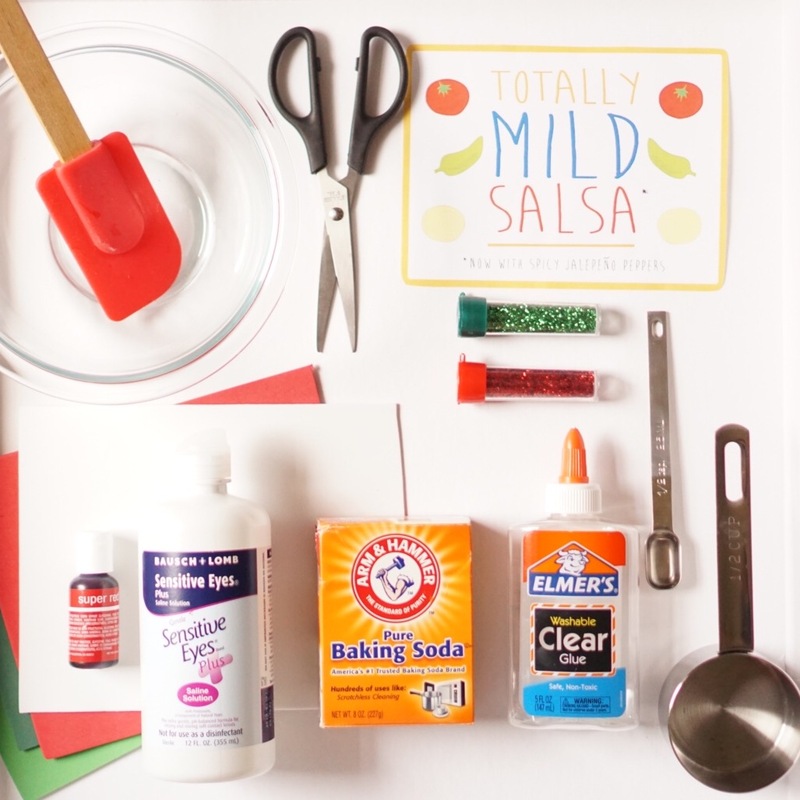 You may also use any slime base you want and add the craft foam squares, red food coloring and glitter. 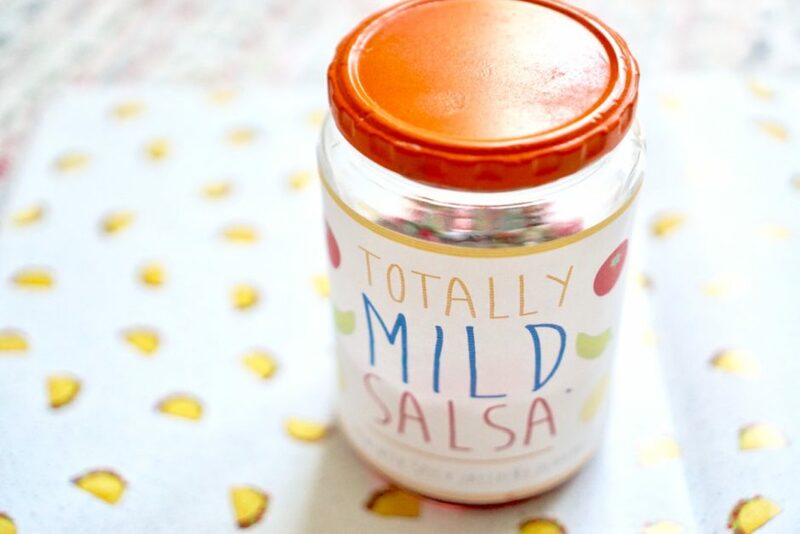 Store your salsa slime in a sealed container, ziploc bag or an empty jar with TOTALLY MILD SALSA PRINTABLE. Slime is a fun sensory activity for children to play with. Really young children, like Teddy, can appreciate the interesting texture of the slime. You can begin to introduce vocabulary to describe how something feels; like sticky, squishy or stretchy. You can introduce the colors red, green and white and identify the square or rectangle shapes within the slime. For older children, get them involved in the making of the slime. The measuring of ingredients and observation of the chemical reactions teach early mathematic and scientific processes. 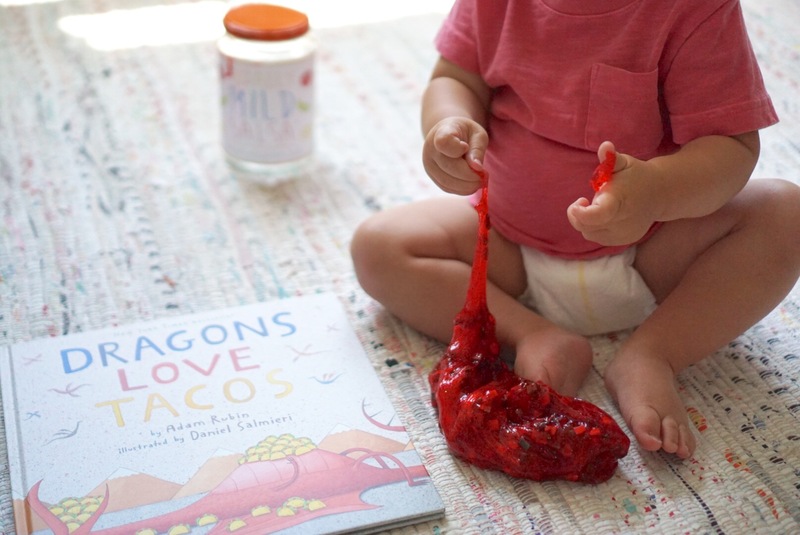 This salsa slime would also make a great party favor for a Dragons Love Tacos themed birthday party! Download and print as a PDF, JPG or PNG. 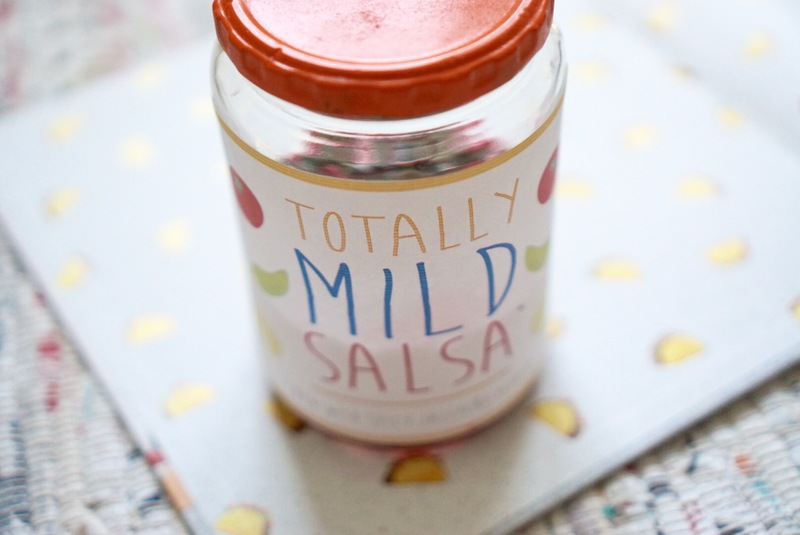 You can print the salsa label onto sticker paper or print on regular paper and attach to the jar with glue, double-sided tape or put a large piece of clear tape over top of it. 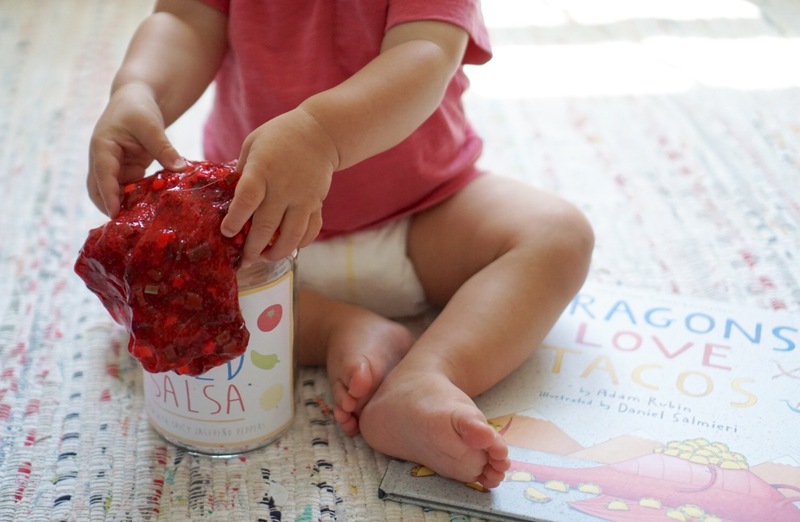 Choose a jar with a wide mouth so your little one can reach their hand in there. Salsa jars or pickle jars should be wide enough and have smooth sides so the sticker will stick better. Peanut butter jars (or sun butter jars, if you are concerned about allergens) are a great plastic alternative. To be super shmancy you can spray paint the jar lid. 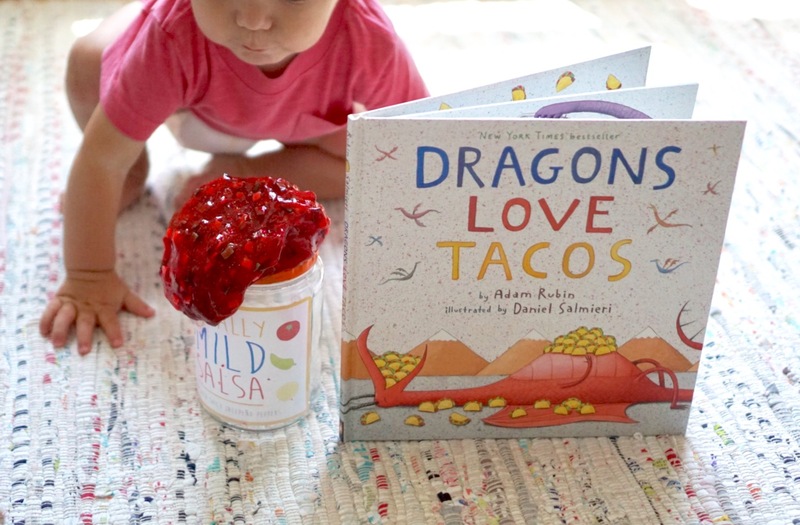 If you like our salsa slime, then you are going to LOVE the rest of the book box activities from my blogger friends! Click the photos below for the full tutorial on each project. 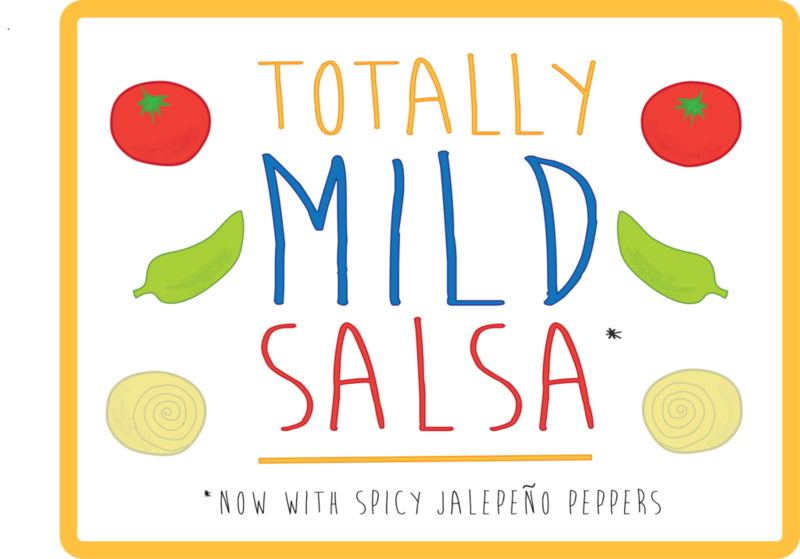 If you try my Totally Mild Salsa Slime or any of the book box activities, we'd love for you to share! When you post your picture, tag me (@ureadyteddy), Beth (@dayswithgrey), Lu (@themamaworkshop), Sumer (@gracegigglesandnaptime) and Ashley (@VeggiesandVirtue) on Instagram. This is awesome! 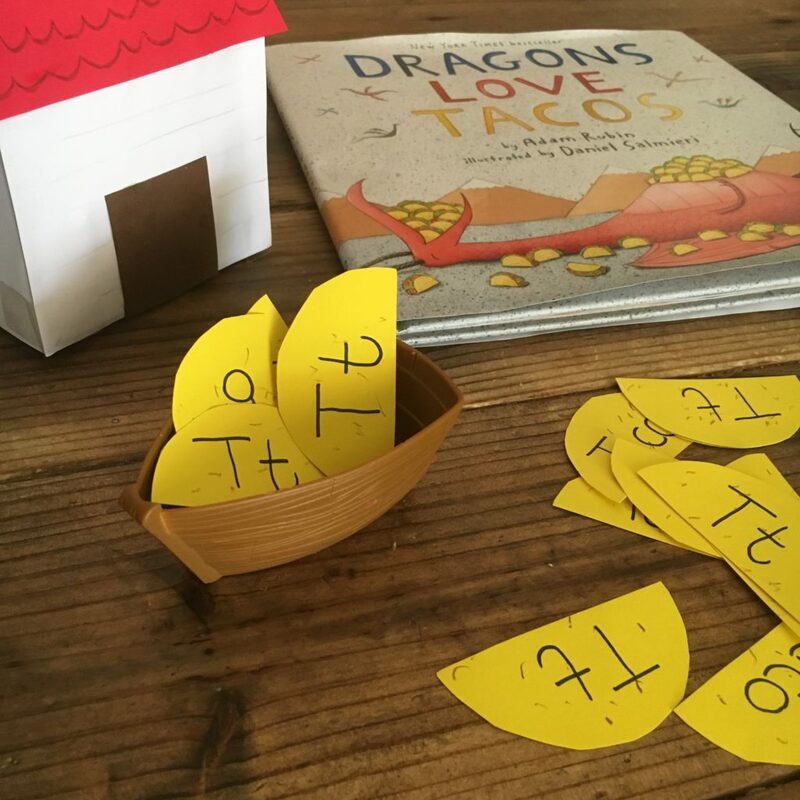 My kids LOVE “Dragons Love Tacos” and I do too. And the slime obsession has recently taken over our house. And for even more taco fun, the song “Raining Tacos” by Parry Gripp plays at least 10 times a day here! THat’s so interesting. Not being crafty or inventive myself , I love any ideas I can get my hands on. Great read! 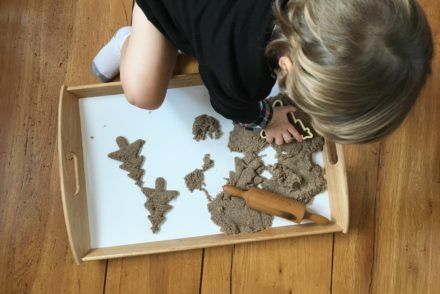 This is adorable and looks like so much fun! I can’t wait to try it with Aiden! What a cute idea! I’m sure the kids loved this!